When researching or educating yourself on auto finance, it’s important to read a variety of auto finance blogs to gather different perspectives and ideas to apply to your business. The following list consists of our favorite auto finance news sources and blogs we read regularly for education, tips, tricks, and more. Automotive News is considered the newspaper of record for the automotive industry. This paper is read and written globally with 55 editors working all around the world. Here is one great article to check out about Wells Fargo wanting to close their digital gap. Ward Auto is one of the longest-lived news providers on automobiles. They have been around since the first vehicles were rolling off the assembly lines. Now, they are offering insights globally on industry trends and major changes that one would need to know in the industry. Here is a recent article of theirs about how customers are becoming more and more internet-centric in the buying process. AutoFinanceNews is probably the most important publication in the auto finance industry. It is the leading source for insights, news, and analysis on everything that is auto lending-related. Here is a cool article of theirs about AI in auto lending. PureCars assists dealerships in dominating digital marketing using marketing automation. In addition, they have an informative blog about automobiles. Here is one of their articles about improving your dealership’s conquesting that is worth checking out. JustAuto offers global automotive industry news and analysis. These are some of the most researched and insightful articles you can find in the industry. They support all the new best practices when they become aware. Go check out their site JustAuto. Auto Remarketing covers developments and trends in the car industry. A great segment of their site is auto financing. It concentrates on topics related to Business Intelligence for Automotive and Auto FinTech Executives. This is one of our favorite sites to read up on auto financing. RoadLoans is a great site to read all auto lending. They mainly focus on auto financing unlike many other auto-financing resources. This blog has articles on driver tips, financing, and refinancing and sometimes a bit of entertainment. DigitalDealer helps dealers sell more and become more profitable by creating interesting and informative live events and media on industry topics. They have a blog section dedicated to finance and insurance. One great article of theirs about auto financing is from January 2018. It talks about the movement toward financing through digital contracting to increase customer satisfaction. 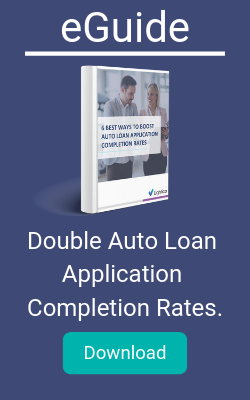 We also cover the auto finance industry to help simplify operations and create a seamless customer experience and reduce auto loan application abandonment.